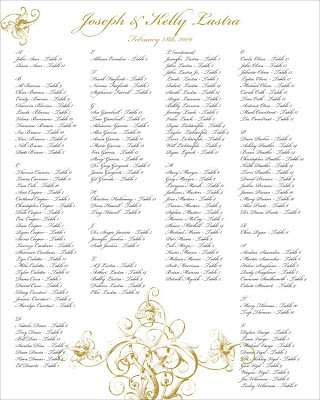 Seating charts are a stylish and simple way to show your guests where they are seated. 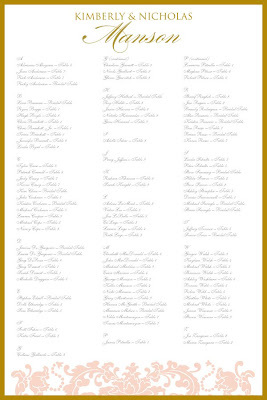 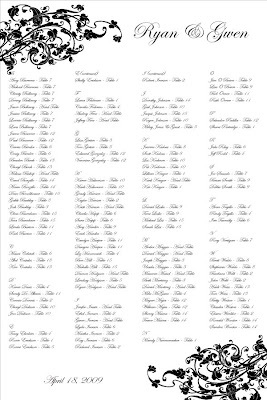 While I absolutely love place cards (and I'll be showing you some fabulous ones soon), the seating chart is a great way to go for a large wedding. 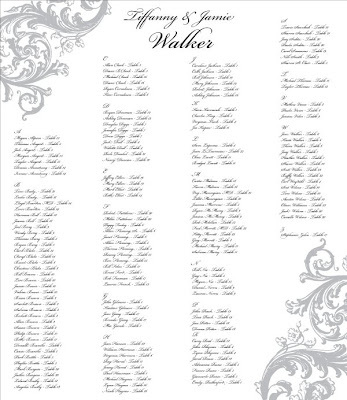 You will see from the examples below, we can take the graphic from your wedding invitation and create your seating chart, creating a consistent look/feel/theme throughout your event.